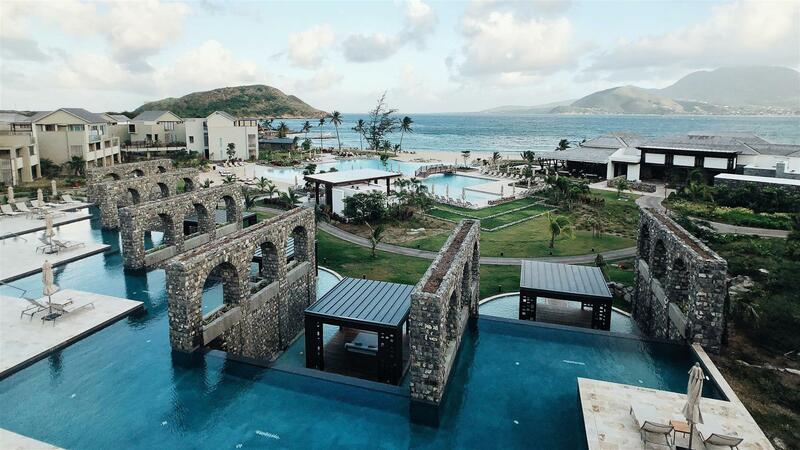 Spanning the entire Banana Bay, Park Hyatt St. Kitts Christophe Harbour is situated at the foot of lush rolling hills, overlooking the cloud capped neighboring island of Nevis. 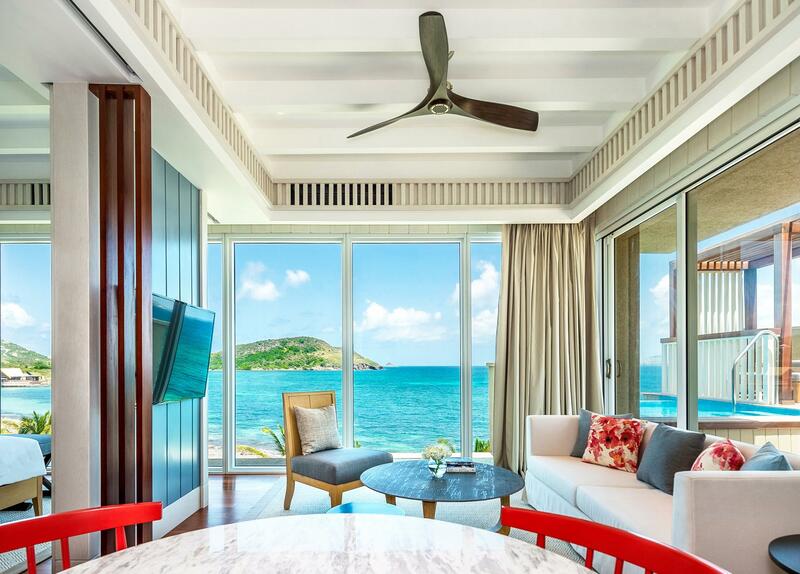 All 126 accommodations are chic in design and minimal in color so as to frame the Caribbean Colors through French doors opening on to private balconies or terraces. 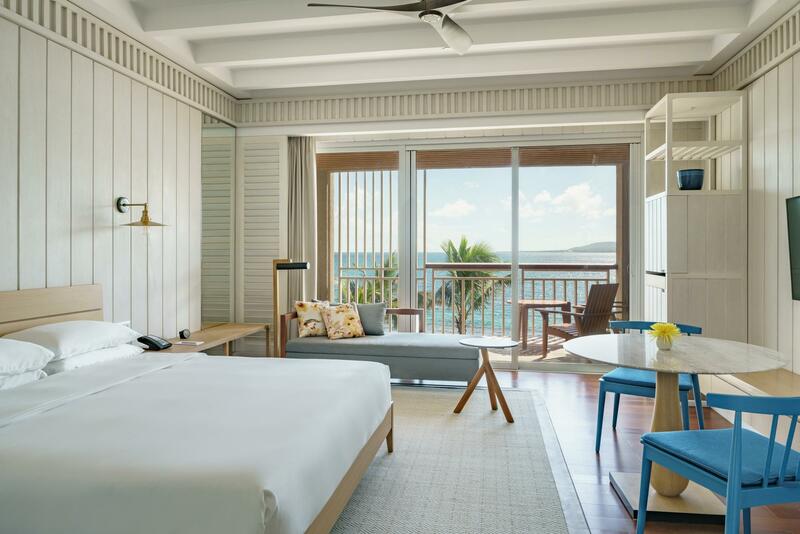 All rooms and suites face forwards towards the golden sandy beach of Banana Bay and the Caribbean Sea with our premium suites offering private roof top pools and outdoor lounges. Relax and rejuvenate in the Miraval Life in Balance Spa which offers a range of body and facial treatments in addition to addressing mindfulness and wellness. Soak up the Caribbean sun to the sound of lapping waves and the chirping birds at one of the resorts two swimming pools, one for families and one reserved for adults. Non-motorized watersports are available to include paddle boarding, snorkeling and kayaking. For our younger residents a program of daily activities is available in the Island Fort by Camp Hyatt. 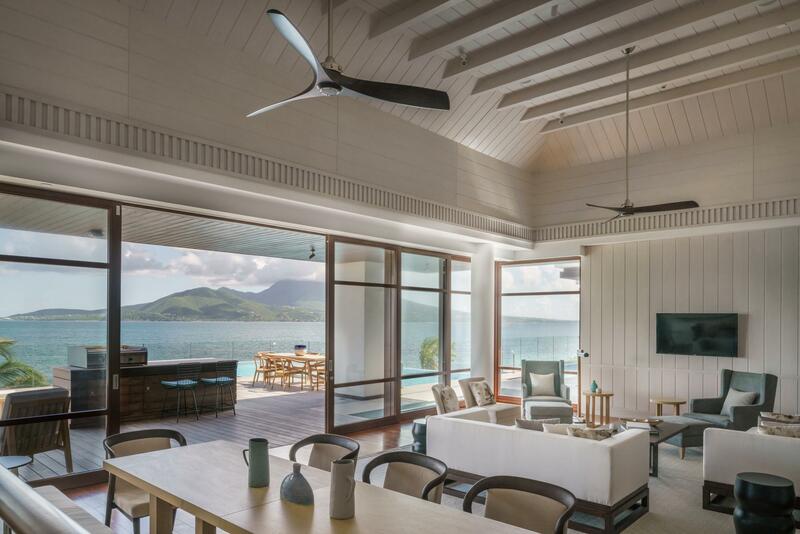 Our culinary team combine international cuisine with local flavors in all three of our restaurants, including the Fisherman’s Village which nests on the calm Caribbean water. The Great House Restaurant includes Tot’s Rum Bar, Flemings our residents bar and both indoor and outdoor dining. The Stone Barn is reserved for adults only and serves food from the hearth. Ask our Chefs in the Fisherman’s Village when they receive deliveries. Our fish is sourced locally and fished using sustainable methods, Our Chef’s receive the catch from local fisherman who bring the fish straight to the resorts jetty. Chef may even let you choose your lobster! Enjoy a breathtaking journey on the St. Kitts Scenic Railway as it weaves its way through the old sugar plantations. Informative, and entertaining guides will tell the history of this island en-route while you relax, take in the views and enjoy complimentary drinks and entertainment. The best place to watch the sunset in St. Kitts is Salt Plage, part of Christophe Harbour an just a five minute drive from the resort. This lounge offers stunning views as the sun sinks in to the ocean as sailors are tendered to and from private yachts anchored just offshore. A five minute boat ride from the jetty at Park Hyatt St. Kitts is the historical, sleepy island of Nevis, Hamilton’s birth place. Roam the small streets and visit local museums or for a more energetic experience hike to the top of Nevis for views back over St. Kitts and St. Barts.